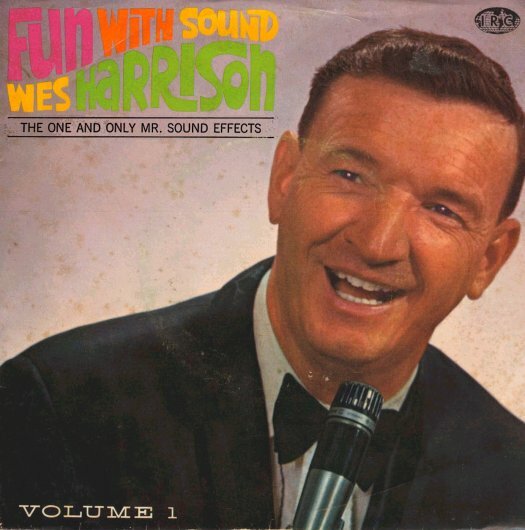 "Mr. Sound Effects", Wes Harrison's, unique talents have entertained literally millions coast-to-coast and overseas. Wes Harrison covers more territory making people laugh than anyone in the business. He has appeared on nationwide television as the guest of Ed Sullivan, Mike Douglas, Merv Griffin and Dean Martin; not to mention appearances in Las Vegas, The Crazy Horse in Paris and numerous state fairs and sports shows throughout the country. Wes has worked for Walt Disney and MGM studios in Hollywood. The sound effects for the popular Tom and Jerry cartoons were Wes "doing his thing!" The cannon fire in PETER PAN was Wes "shooting his mouth off." In 20,000 LEAGUES UNDER THE SEA, the gurgling water and the baby seal sounds were Wes earning his bread and butter. One of the reasons he works with such regularity is that his act is enjoyed by both the youngest and oldest members of the audience, and everyone in between. Wes can duplicate dozens of sounds so well, in fact, that it is said that he was once picketed by a Xerox machine! His duck sounds are so authentic that several years ago he was sued for alienation of affection by a mallard??? There are no gimmicks used for the reproduction of these sound effects. Armed with only a Shure model 530 Slendyne microphone and his vocal chords, he will amaze you with his uncanny ability to create fantastically realistic sounds. Jet planes, roaring locomotives and racing automobiles are routine for Wes. A good-natured, easy-going guy, Wes uses his vocal magic to spread joy and happiness wherever he happens to find himself. For example, when he's sitting in a plane waiting for takeoff, he'll sometimes do his train act. When driving through a town late at night Wes will make his locomotive sounds. He can do this quite easily because his car is equipped with a microphone, amplifier and loudspeaker under the hood. This is especially unnerving when the local community doesn't have railroad service! "Mr. Sound Effects" uses his remarkable talent to give the world what it needs - laughter, And that's the best sound of all.